Jürgen Fauth is a writer, film critic, translator, editor, photographer, and co-founder of the literary community Fictionaut. He was born in Wiesbaden, Germany, and received his doctorate from the Center for Writers at the University of Southern Mississippi. He lives with his wife, writer Marcy Dermansky, and their daughter Nina. More here. Jürgen Fauth: Thomas Mann said that “A writer is somebody for whom writing is more difficult than it is for other people,” and that sounds about right to me. Which is to say, sure, anybody can do it, and anybody has the right to call themselves a writer, but as you get better at it, you may find that things get more complicated, rather than easier. You start paying attention in a different way. Curiosity and empathy are key, I think. But in the end, a writer is anyone who spends a lot of time writing. 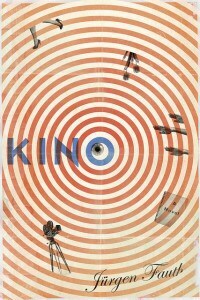 UFR: Your debut novel, Kino, is fascinating. As “the tragic story of a silent film director in Nazi Germany and his modern day granddaughter’s quest to redeem him,” it really seems to combine mystery, history and literary fiction in an interesting and accessible way. Can you talk about the book a little bit? How would you describe it? Fauth: Kino is the story of a silent film director whose movies were lost during World War II, and who then emigrated to the US. He made one more movie — a flop — and killed himself in the early Sixties. The book starts when his granddaughter, in New York, receives a print of his 1927 debut film under mysterious circumstances and goes to Berlin to find out what happened. Some of the narrative is set in the past and some in the present. It’s concerned with the ways in which family, history, and art are intertwined. UFR: What in particular drew you to the book’s subject matter? Why is this story the one you wanted to tell? Fauth: I’ve always been fascinated by Berlin in the 1920s, the time between the wars that saw an incredible flourishing of culture and science before the rise of the Nazis. I also wanted to write the biography of an artist that didn’t just cover their rise and fall, the kind of thing you see your standard biopic, but something goes one step further to see their work might flourish again a generation later. Also, since I’m from Germany, I was interested in telling the story of someone who left Germany during a very dark time so I could compare notes with my fictional character. Why did he stay, why did he leave? Why did I? All of those reasons, and a few others, suddenly came together and made this seem like a promising project. Fauth: It’s a balancing act. In the past, I’ve erred on the side of including too much of my personal experience, and it didn’t work—my life isn’t all that fascinating, and my personal experience turned out to be interesting to precious few people who weren’t me. Generally, I’m not a big fan of memoirs, even though they’re fashionable. I prefer fiction. Unless you have an unbelievably crazy life, I probably don’t want to read about it. Why not make something up instead? But of course, in another sense your experience is all you have—if you include that to mean everything you’ve absorbed, all the books you’ve read, all the movies you’ve seen. That’s why everyone tells young writers to read as much as they can. It’s good to have adventures, meet people get out in the world, but it’s just as important to have a storehouse of fictional stories to draw from. In the end, it’s all fodder. UFR: You’re also the founder of Fictionaut, a pretty successful literary community. Can you talk about the site? What inspired you to create it? 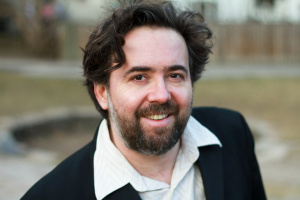 Fauth: Years ago, I figured out that the confluence of social media and online fiction would make a site like Fictionaut inevitable, and then I waited around for someone to build it. When no one did, I finally decided I’d have to do it myself. I partnered with Carson Baker, a very talented developer, and since its launch in 2008, the site has attracted a great community of wonderful writers. UFR: For you, what’s the reason for the site? Why is it necessary? Why do you think it’s important for writers to be part of a community? Fauth: I don’t know that it’s absolutely necessary for a writer to be part of a community, but it certainly helps. It’s a lonely business otherwise, and Fictionaut makes it possible to get feedback on your work very quickly. I’ve been involved with literary magazines for a long time, and I always felt that there had to be a way to connect readers and writers more effectively on the Internet. UFR: You’re a photographer, too, as your photos have appeared in places such as Time magazine. What draws you to photography in particular? What do you like about it? Fauth: I love photography because it’s very much the opposite of writing: visual, documentary, instantaneous. It gets me out of the house. It makes me look at people and things very closely. I love moving through a crowd of people and shooting everybody’s faces. It’s the opposite of sitting in your room at night by the glow of the screen and finding your way through the next scene, which often feels like being blind. UFR: Do you see any similarities between writing and photography? Does one speak to the other? Fauth: Conjuring images with words is a lot harder than clicking the shutter, and I think photography might be a way for me to get away from the words. I don’t try to verbalize what I do with the camera (or in the “darkroom” of the photo software), and I suspect the photos nourish another part of me than the words. Still, I’d very much like my prose to be as sharp and colorful as my photos. Generally, though, movies are more of an influence on my writing—I often conceive of my scenes the way a director might, wondering where to put the camera, how late to come in, how to pace things, how to pitch them emotionally. UFR: How about film? Kino considers film quite intimately and you’re also film critic. What role do you see film playing in the world of art? Fauth: Well, cinema has been called the seventh art because it combines the six others: architecture, sculpture, painting, dance, music, and poetry. At this point it’s safe to say that it’s the most vital, most popular of arts, extremely accessible but also exceedingly mysterious the closer you pay attention. There’s so much to see and hear and understand in just one movie, and some are so dense that you’re never really done with them. There are movies I can watch again and again, and always see something new. UFR: You’re so familiar with many different crafts, all of which are part of the world of art. So what do you think is art’s greater purpose? Fauth: I don’t think art has a purpose. Or rather, its purpose is to have none. Art is play, art is without rules, except for the ones you want it to have. Art creates a space where anything is allowed, and precisely because nothing is required of it, it can fulfill a number of crucial functions. Maybe that’s the reason for my appetite for different disciplines—I’m curious to compare notes and see what else might be possible. UFR: As an artist, what are you trying to explore? What are you asking? What are you trying to find? Fauth: Well, if I knew, and I found it, then I could stop, right? I think the desire to make something new has to do with not knowing exactly how it’s going to turn out. You do it so you can see what it is you made, so you can read the book you wrote, look at the pictures you took. If it’s good—unexpected but fitting, surprising but true, new but familiar, then you’ve added an experience to the world that wasn’t available before. When it’s really good, it brings you up against the moment, makes you see things in a different light, makes you ever so slightly more alive. But I don’t think you can know beforehand—you just trust your interests and your instincts, and hope they’ll take you someplace worthwhile. Fauth: I’d like to cheat on this question and refer you to my tumblr, http://tulpendiebe.tumblr.com, which is a site that’s in fact run by my character Mina Koblitz to honor her grandfather Kino’s life and work. You’ll find a ton of photos, posters, paintings, videos, quotes, and movie stills there that informed the writing of Kino — it’s a kind of Weimar art gallery, research journal, and index of influences at once. Fauth: I’m reading a new manuscript-in-progress by my wife, the writer Marcy Dermanksy, and it’s wonderful. I’m not allowed to say much more, but she’s pushing into some unexpected territory for her, and it’s a big treat to be the first to see what she comes up with. UFR: What are you currently working on? As a writer and an artist, where would you like to go? Fauth: I’d like to find the time to start another novel, but between the publication of Kino, our daughter, Fictionaut, and freelance translation and editing work, I haven’t had much time. I just put together a site for the fiction editing business I run with Marcy, mjedit.com. I’m also spending a lot of time on the Tulpendiebe tumblr I mentioned, and I’m just about to make it collaborative and invite people to participate and submit artwork inspired by the world of Kino and the Weimar era. I’m fascinated with the way art can inspire more art, and since copyright, piracy, and remixing are themes in the novel, it only makes sense to try and carry that into the real world. Anybody is invited to participate at tulpendiebe.tumblr.com/invitation. UFR: Please share anything else you would like to say. I’ve had an uinbelievably crazy life Jùrgen !